Chateau de Chenonceau, near the small village of Chenonceaux in the Indre-et-Loire département of the Loire Valley of France, sits in a pretty setting literally on the Cher River and surrounded by gardens on the adjacent terraces and river banks. 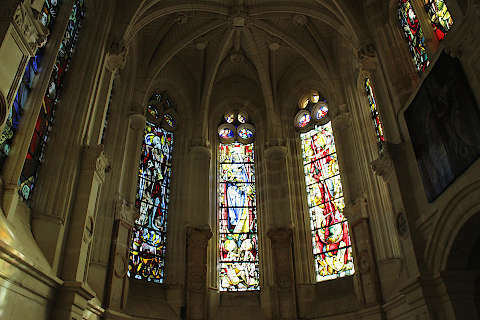 It is a short distance south-east of Amboise. 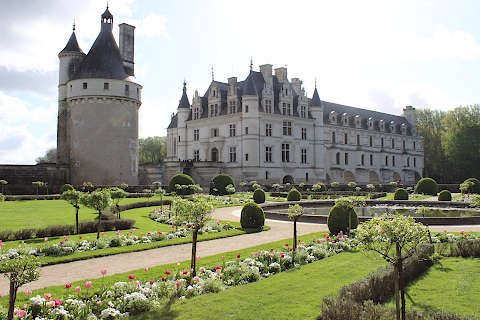 Chenonceau is one of the most visited of the castles in the Loire Valley and certainly one of our favourite castles in France - if you can only visit one or two castles in the region this should be on your shortlist! 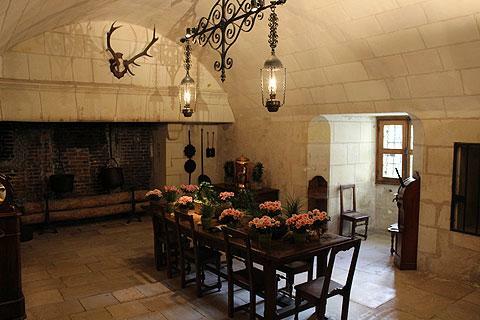 A brief knowledge of the history of Chenonceau castle adds a great deal to the pleasure of a visit! 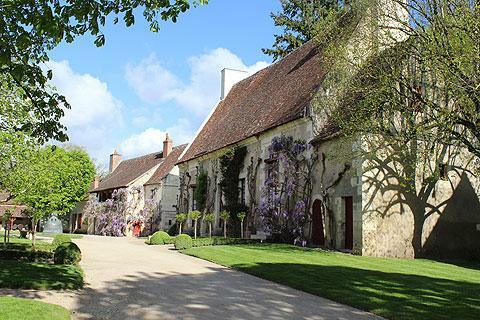 Previous buildings on the same site included a manor house, a mill and a fortified castle, with these being cleared away by Thomas Bohier to create space for the current Chenonceau castle in the early 16th century. The castle soon passed to King Francois I when Bohier's son was unable to pay his debts, then in turn to King Henry II who gave the castle to Diane of Poitiers. It was Diane who added the romantic arched bridge, now a centerpiece of the castle, and crossing to the far bank of the Cher river. She also added the gardens that now surround the castle - these are in the traditional French style with lots of small meticulously shaped shrubs. The bridge and gardens give a lovely backdrop to Chenonceau chateau. 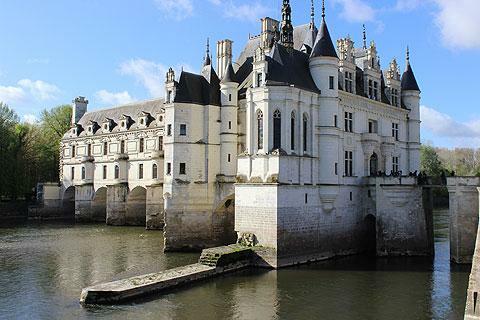 Unfortunately Diane de Poitiers made the castle so desirable that when King Henry died his widow, Catherine de Medici, wanted it for herself and successfully forced Diane to live in Chaumont castle instead so she could live at Chenonceau. 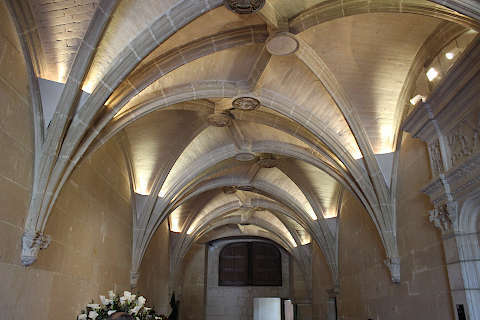 Catherine de Medici further enhanced the castle, in particular adding the gallery along the bridge that Diane had built, and further enhancing the gardens. 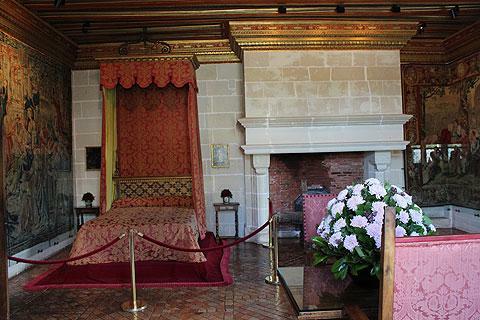 After the death of Catherine de Medici (1589) Chenonceau castle changed hands several times over the following 150 years. it was sometimes unoccupied, and often lived in, but was never to regain its 16th century glory as the centre of the royal court. The slow decline included its ownership by various royal mistresses and landowners, during which time many of the fine ornaments were sold. During the 18th century the castle had a resurgence in popularity when, under the ownership of the Dupin family, it became a centre for arts and intellectuals with such notable figures as Voltaire, Rousseau, Montesquieu and Buffon regularly attending gatherings at the castle. More importantly Madame Dupin prevented the castle from being destroyed during the French revolution by emphasising the role of the bridge as a crucial local transport link across the river. 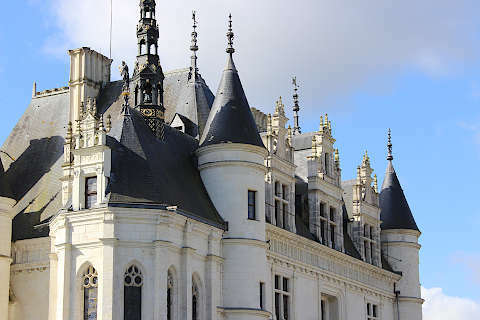 More recently and into the 20th century the castle again changed hands on more than one occasion, culminating in its purchase by the Menier family in 1913 - the family still own Chenonceau at the present time. The castle also saw action during the 20th century, both during the First World War when it was used as a hospital, and in the Second World War when Chenonceau was a link (and escape route) between the Nazi occupied territory north of the Cher and the vichy zone to the south. 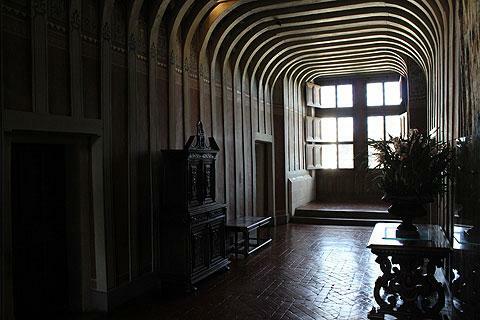 In the latter half of the 20th century the chateau was renovated and subsequently opened to the public. 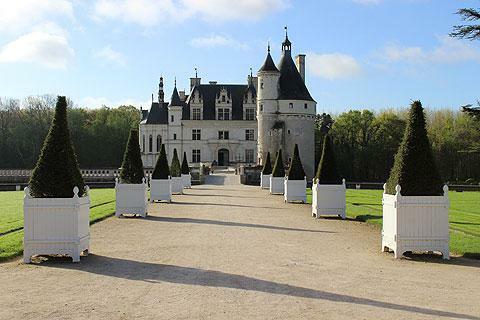 Both the castle and the extensive surrounding gardens are open to visitors to Chenonceau castle, including the gardens of both Catherine de Medici and Diane de Poitiers, along with more recent additions such as a maze of yew. You can take a guided audio-tour or explore at your own pace with the leaflet and map that is provided. As soon as you start to walk down the long tree lined avenue towards the castle you will be impressed by the castle and its setting. The main renaissance castle is straight ahead of you and the round Marques tower is to the right and slightly separate from the main castle (although the tower was also much renovated in the 16th century). 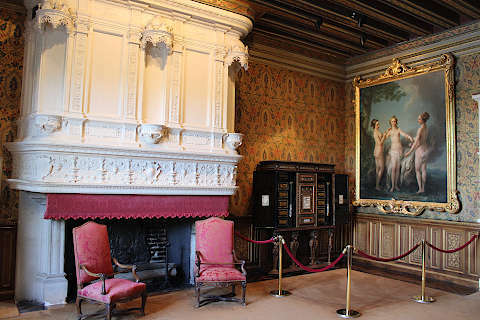 The interior of the castle contains many highlights of interest, with impressive tapestries and furnishings, fireplaces, ornamentation and decorative highlights. 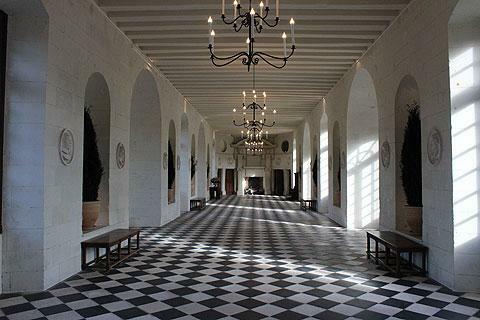 You will see many fine rooms such as the chapel, the main 'salon', the royal chambers, the galleries and the library, all furnished as they were in centuries gone by. Chenonceau Castle is quite modest in size compared to the larger castles in the Loire Valley, but in my opinion that adds to its charm. It is a castle where you can see yourself actually living! 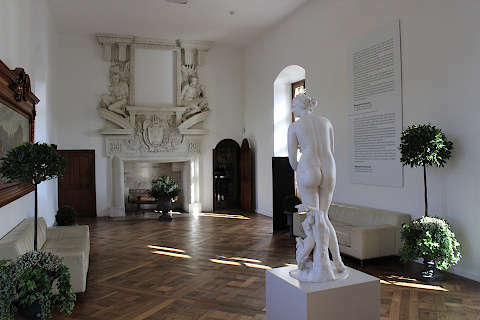 I won't attempt to list the highlights of every room and hallway since the tour is organised such that you will see it all when you visit, but for me the particular highlights include the main gallery across the river, which must have been a stunning place to hold parties; the Guard's Room (just as you enter the castle); the stonework in the hallway and staircase; and the beautiful wall coverings in several of the bedrooms. 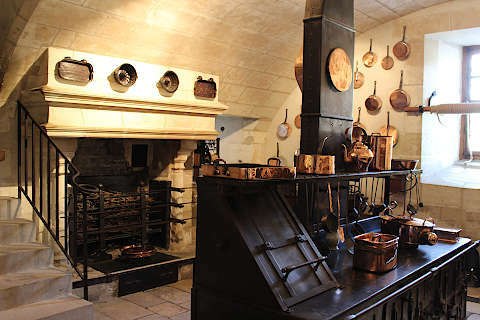 The kitchens, which occupy most of the basement of Chenonceau Castle, are also fascinating. Even the staff dining room is quite luxurious compared to most modern houses and there are also separate rooms for cooking, butchers, a large pantry and a main cooking room. 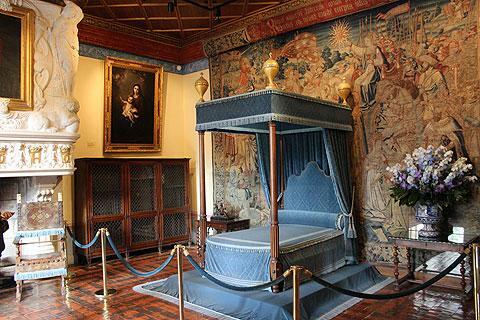 These are all brought to life by the knowledge that you are walking in the footsteps of Catherine de Medici and the many other important historical characters who have lived their lives in the castle before you, making a visit highly recommended when touring the castles of the Loire Valley. After exploring the castle you can wander through the gardens. 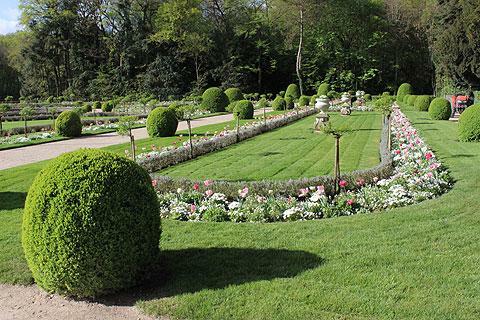 The gardens of Diane de Poitiers and Catherine de Medici are the most impressive formal gardens here (very nice although rather less impressive than those at Chateau de Villandry) and there is also a woodland area containing a maze and statues. From the gardens you can also admire the outside of the gallery of the castle across the Cher river, and see where the boats used to drop off food for the castle kitchens. 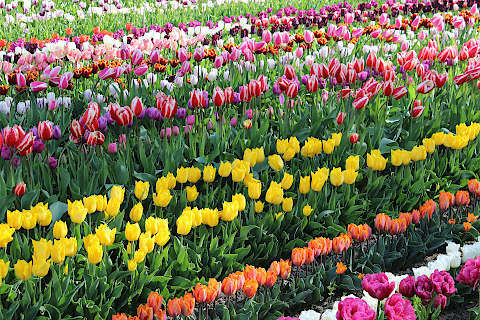 You can also visit the 16th century farm in the gardens, with the flower and vergetable gardens for the castle. This is very lovely and one of the highlights of your visit, although I am guessing that the farm was not quite so beautifully renovated in the 16th century! Entrance to the castle and gardens costs 12.50 euros for adults and 9.50 for children. 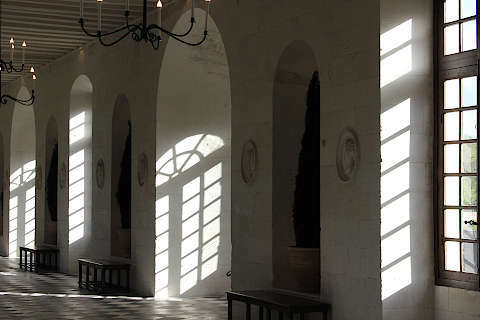 Chenonceau is open every day of the year including Christmas Day and New Year's day, from about 9.30 to 17.00 in the winter and opening at 9.00 and closing at 20.00 during the summer months. We suggest you allow at least three hours for a visit - you could get around quicker but it is a place to enjoy slowly! 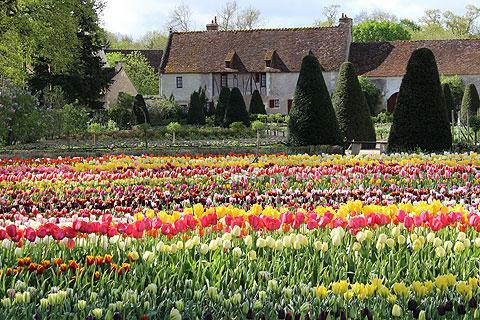 See also Chateau Chenonceau in our French Castles section. 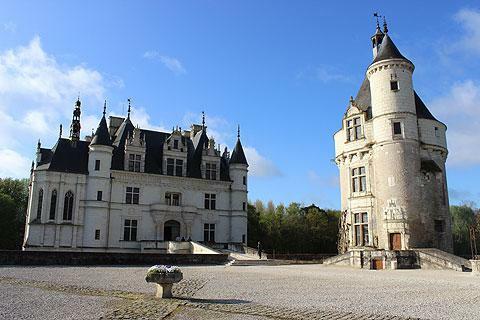 Other Loire Valley castles close to Chateau de Chenonceau include the Chateau d'Amboise and the Chateau de Chaumont, both of them among our favourite castles in the region.